Swimming in our pool is a form of low weight bearing exercise that is used to treat disease, injury or illness. While swimming most of the muscles used for everyday movement are involved, but joint stress from hard ground is avoided, which helps to reduce pain and allows easier movement. Treatment in the treadmill can be more specific and targeted than in the pool. This is because there is total control over how much support we give the animal, which is determined by how much water is in the treadmill. 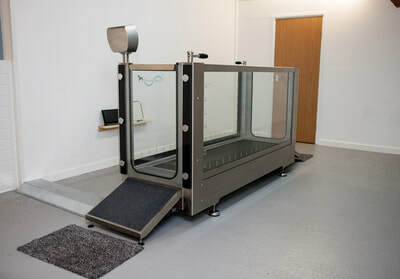 The speed of the treadmill is adjusted to achieve the correct gait pattern and is ideal for re-educating the movement of the limbs after injury or surgery. Each session will be adjusted according to the patient's needs. We also take into account owners' feedback from the previous session. 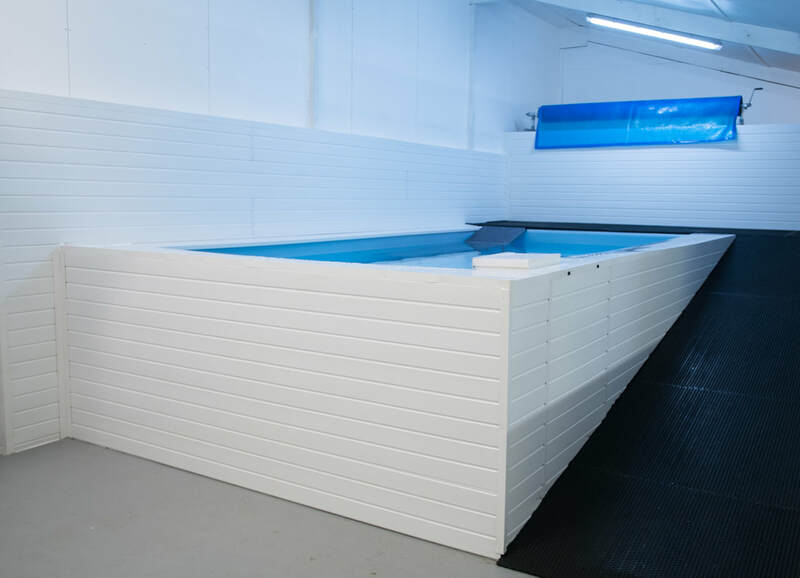 The underwater treadmill, is a valuable rehab tool as well as vital in the maintenance of fitness with a working dog.